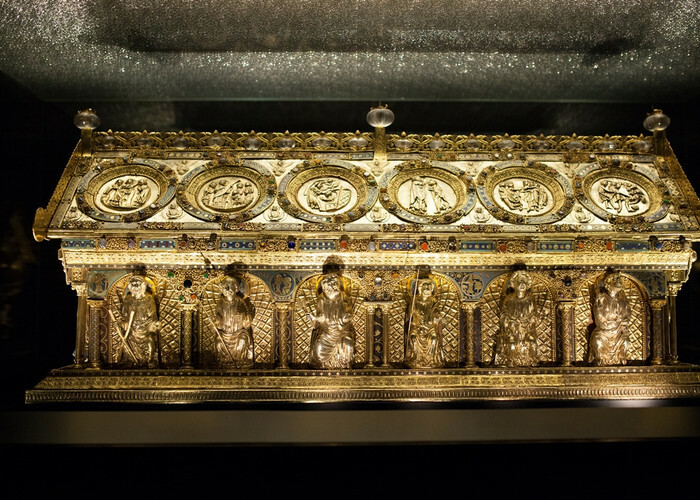 This tour will introduce you to a unique Romanesque goldsmith's priceless relic - shrine of St. Maurus. The accompanying exhibition takes you through the history of this jewel and at the end of the tour you can quietly enjoy the beauty of the Romanesque goldsmith. 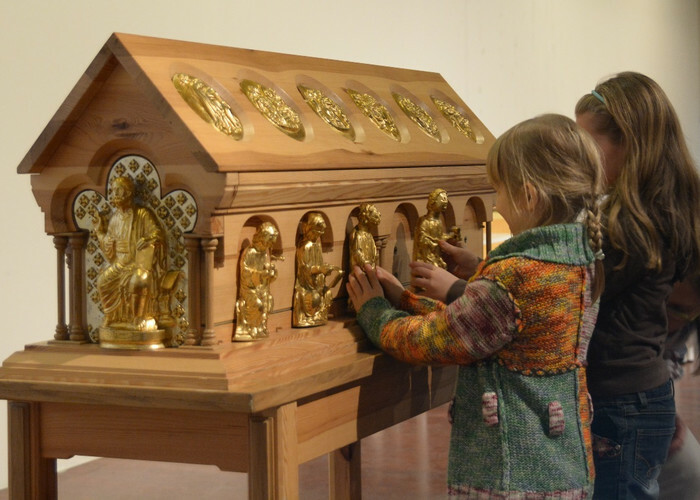 Come with us on a journey in the footsteps of the reliquary of St. Maur! The historic interiors of the lower baroque chateau present the era of the 19th century. 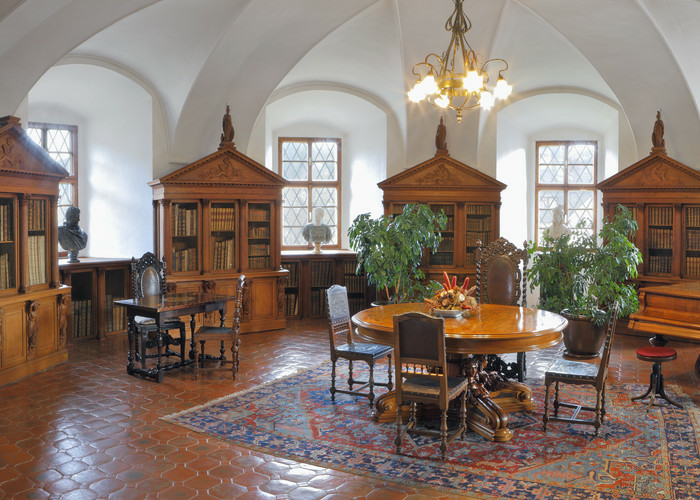 The exposition is mostly composed of the original mobiliary, which was part of the possession of the last nobel owners of Bečov estate - the Beaufort-Spontin family. The most authentic place of the chateau is the library and the St. Peter´s chapel. ANYWHERE... Touch the St. Maurus Reliquary, discover its significance and history - wherever you wish. SEE, HEAR, TOUCH.... This guided tour is available only in Czech language. ADVENTURE ON THE ROAD TO KNOWLEDGE. The adventurous tour through the premises will show the differences between living in a medieval castle and a modern era chateau. 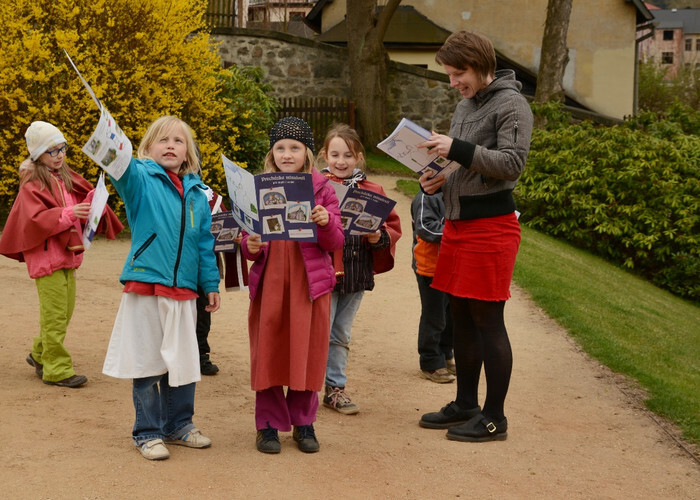 This guided tour is available only in Czech language.